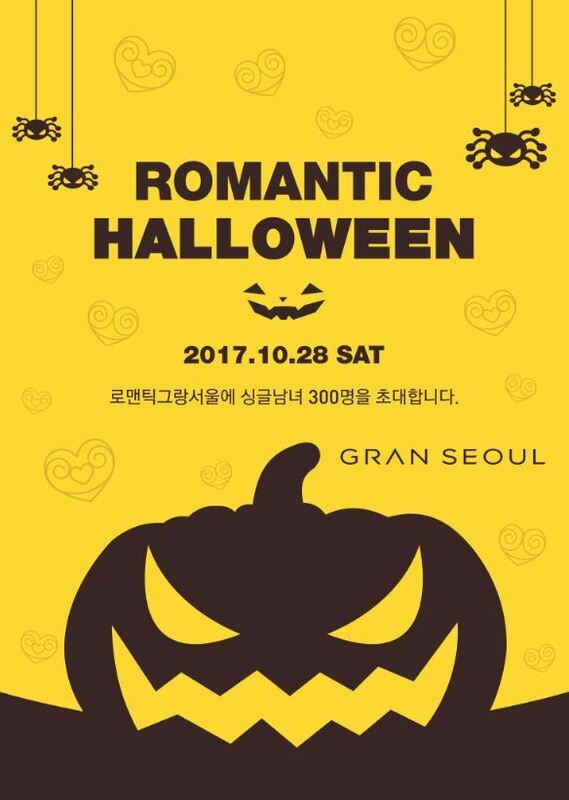 Employed singles are invited to spend a “romantic Halloween” at Gran Seoul in Gwanghwamun, downtown Seoul on Saturday. Hosted by GS Engineering & Construction Corp., a total of 300 male and female singles aged between 25 and 35 are eligible to sign up for the matchmaking event at saemip.com. The ticket price of 29,000 won ($25) for women and 39,000 won for men includes food and free-flowing beverage during the event time which runs from 2 p.m. to 5 p.m.
With the ticket, participants can freely roam the eight restaurants inside the Gran Seoul mall. Once they enter a restaurant, the seats will be arranged so that two men and two women are seated together at a table and encouraged to network. There is a time limit of 45 minutes for every restaurant visited. The occasion being the Halloween weekend, a name card lucky draw from jack-o‘-lantern and photo-taking events with staff dressed up as zombies and ghosts will be prepared. This is the 9th such event hosted by the GS E&C. The cumulative number of people who signed up is at 2,400. Some have reportedly led to actual marriages.